The good news for plenty of current iPhone, iPad and iPod touch users pondering buying the new iPhone 5 is that they’ll get many of the 200 new features in Apple’s free update for mobile software, iOS 6, available on Wednesday. I’ve compiled a handful of the most significant features you’ll get with the iOS software update, which I tested on the iPhone 5 and the newest iPad. Some older devices won’t be able to use all of these features and one feature will work only on the iPhone 5: taking a still photo while recording a video. Here are some highlights of the new features. There are many more features too numerous to mention. Finally, the iPhone can let its owners sleep at night — with options. Until now, the iPhone’s silencing switch turned off all sounds with no alternatives. This meant that people who wanted to turn off alert sounds for Facebook notifications and incoming emails while they slept had to give up receiving phone calls in the middle of the night from, say, a relative having an emergency. The Do Not Disturb feature (turned on in Settings and adjusted in Settings, Notifications) turns off all sounds but can make exceptions. If you want to be notified whenever one of your favorite contacts calls you, the phone will ring. Another optional feature of Do Not Disturb lets calls ring through if a person calls twice in a row within three minutes. Do Not Disturb can be set to work on a daily schedule, like from 11 pm to 7 am, so you don’t have to remember to turn it on. People who are trying to maintain separate work and personal lives may even set this to work after they leave the office, only allowing calls from certain groups (like family and close friends) to ring between 6 pm and 8 am. If your phone’s silent switch is on, the phone won’t make noise no matter how Do Not Disturb is set. The Panorama feature in Camera works on the iPhone 4S, iPhone 5 and newest iPod touch. In iOS 6, Apple (as it often does) took a feature that’s already available in many smartphones and made it a lot simpler to use: capturing panoramic photos. In Camera, select Options at the top center of the screen and choose Panorama. A small on-screen diagram will appear to guide you as you click the shutter button once and pan the phone from left to right, following an on-screen arrow along a center line. 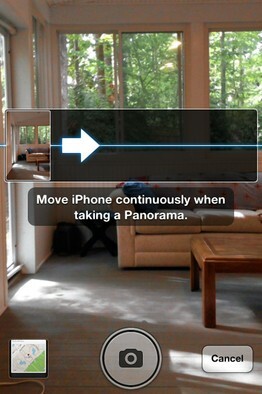 Panorama works on the iPhone 4S and 5, as well as the newest iPod touch. IOS 6 has improved sharing in two significant ways: It’s now integrated with Facebook and enables sharing directly from the places where people think about sharing. You can share to Facebook using various tools such as the Notification Center screen (pull this down from the top of the screen and select Tap to Post in Facebook); using Siri (tap and hold the Home button before saying, “Post to Facebook”); or by clicking a share button (a square with an arrow) on nearly any screen — including photos. Until now, iOS forced people to open Facebook, select Photo in the app and then choose an image to share. Now, people can tap the share button while looking at a specific photo and send that photo out to Facebook. Likewise, you can now add photos or videos to emails as you’re composing them — not by starting with photos. This is something people naturally do on their desktops as they add photos or videos to emails. Do this by tapping anywhere on the screen in the body of the email to see the Select, Select All, Paste options appear. Then tap on the right arrow and select Insert Photo or Video. 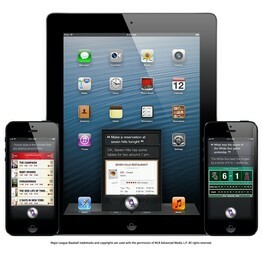 Siri now works on the newest versions of the iPad and iPod touch, and can do more things, like launch apps. While Apple’s App Store now holds 700,000 apps, the revamped App Store app for iOS doesn’t look overcrowded thanks to a more organized layout. Search results appear in card format, one per screen. By swiping one app to the left, another appears. Developer information, reviews from other users and screen shots of the app appear in a helpful, methodical format. While the old App Store forced people to scroll down a lot, this App Store makes better use of the horizontal plane. It does a better job of displaying Genius, a feature that suggests apps you might like according to those you’ve purchased. Apple is now shipping its own Maps app, replacing Google’s Maps app on devices receiving the update. This app takes some getting used to, and its maps appear a bit more zoomed in, overall. But its turn-by-turn directions (available on the iPhone 4S, iPhone 5, iPad 2 or later) will be a big help for people who want a hands-free option for driving: Just plug in your destination address, pick a route and tap start to hear navigation instructions announced out loud as you drive. The text of the directions still appears on the device’s lock screen, in case you put it down and it locks and you need to quickly glance at the next step. Apple’s voice assistant, Siri, has been updated to do more and now works on the latest-model iPad and iPod touch as well as the iPhone 4S and 5. Siri can now open apps and do more with them; I composed a Facebook message and never touched any keys. But it still has its inaccuracies: In a quiet office, I said, “Launch Google Plus,” which Siri interpreted as “Lunch Google Plus,” and then said, “I found 15 lunch restaurants, 11 are fairly close to you.” This is a failed experience that happens all too often. 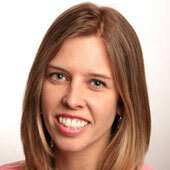 Now, the FaceTime video chats you make on iOS can be conducted over cellular, not just Wi-Fi. This works on the iPhone 4S and 5, as well as the newest iPad, so long as it has cellular data capability.